You want to build a video game. You’ve worked out a storyline, and various scenarios that can be modified to suit various genres. The problem is, your coding ability is poor. So where do you go? The answer, of course, is to use a video game construction kit — a tool, or set of tools, intended to help people who don’t have traditional programming skills to build their own games. But are these tools any good, or do they restrict the creator too much? Using an application to create a video game is nothing new. Back in the 1980s, 8-bit systems had a collection of tools available, such as Graphic Adventure Creator (similar tools are available for modern platforms 3 Tools to Create Your Own Text Adventure Games 3 Tools to Create Your Own Text Adventure Games Want to try making your own text adventure game? Here's your chance! These three tools will help you create your own complex and playable story. Read More ) and its text-only predecessor, The Quill. Later, Shoot’Em-Up Construction Kit (a.k.a. SEUCK) enabled the creation of shoot-em ups, complete with a background/map editor and sprite editor, and Adventure Construction Set for 8-bit and 16-bit systems was used in the creation of tile-based adventure games. ZZT and MegaZeux are two others also worth mentioning. And then there was 3D Construction Kit, another 8- and 16-bit option enabling users to build 3D worlds using Incentive Software’s Freescape, which had featured in games such as Driller and Total Eclipse. Since the mid-1990s, video games have largely been created using in-house construction kits, elaborate bespoke applications that are used to build worlds and characters, incorporate dialogue, and create everything the game’s narrative requires, even down to the placement of characters and menus. 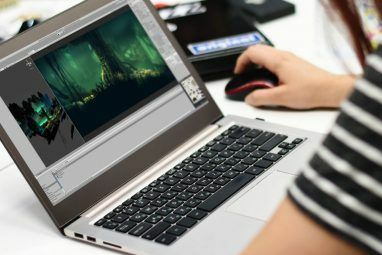 More recently, an increasing number of game creation tools have come along, some of which we’ve looked at before 5 Free Game Development Software Tools to Make Your Own Games 5 Free Game Development Software Tools to Make Your Own Games Here are the best free game development software and tools you can use to start making your dream game today. Read More . So the question is, can current options available to amateur or low-budget creators be used to create quality video games? Surprisingly, yes — with a few caveats. Construct 2 can be used to make all manner of 2D games, as demonstrated by the website’s Showcase page. In fact, games made with Construct 2 can even be played right on the site. See what this engine can do. The free version of Construct 2 only published HTML5 games. If you want to make Windows, Mac, Linux, iOS, Android, Amazon Store, or WiiU games, then you’ll need to get the Personal License for $129.99. The Construct 2 website has tons of awesome tutorials to get you through the initial stages. The forums provide additional tips and support, and you can purchase assets (e.g. graphics, sound effects, templates, sprites) on the Store, which is useful if you don’t have the talent to produce your own assets for your game project. But how easy is this software to use? The general opinion among its users is that Construct 2 has a gentle learning curve, and while it can produce quality games, the engine is somewhat limited if you want to do something really spectacular and unique. Stencyl is pretty darn good. Games made using this software have found themselves placed high in the App Store, such as Impossible Pixel (#2 in US), BLiP (#1 in 18 countries) and Zuki’s Quest (#10 in US). If that isn’t a ringing endorsement, what is? The main selling points for Stencyl are its modern interface and out-of-the-box support for advanced features like advertisements, mobile leaderboards, in-app purchases, and third-party plugins. It makes it all easy, which reduces the effort necessary on your part. The free version can publish as Flash only. The Indie license, available for $99 per year, allows publishing to Windows, Mac, and Linux. For iOS and Android, you’ll need to purchase the Studio license for $199 per year. In addition, Stencyl offers support for easy publishing to Steam, App Store, and Play Store. Game logic is built with blocks using a drag and drop interface that is strongly reminiscent of MIT’s Scratch. 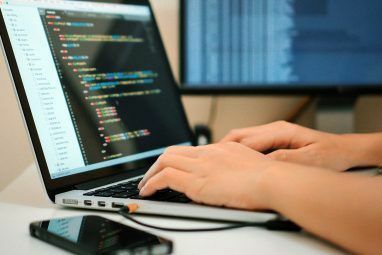 If you have some programming experience (see final section in this feature), then you can do some advanced development by creating your own custom-coded blocks using the Haxe language. Stencyl has a moderate learning curve so we suggest taking things slowly and building up basic games with the assets on offer, and relying on the extensive support forum for tips and advice. If you’re planning to publish your game on Windows, you’ll be happy with the Free license for GameMaker: Studio (it has a splash screen, though). The Professional license, available for $149.99, has a few more features and gets rid of the splash screen. For Mac, Linux, Android, iOS, or HTML5 exports, you’ll need the Master license for $799.99. But what can you do with GameMaker: Studio? You can get a good idea by viewing the titles in the showcase page, where you’ll find top-notch quality games that were made with this engine. The biggest success story, however, is the indie smash hit Hotline Miami. Online tutorials are provided to guide you through the art of making a game, while an extensive knowledgebase is provided for technical support. GameMaker: Studio also has a bustling online community — one of the biggest gamemaking communities on the Internet — ready to discuss projects and offer tips. This is one game creation tool that you can find your way into without getting stuck too soon. GameSalad is available in two flavors. The Basic version costs $19 per month (or $199 per year) and only exports as HTML5, whereas the Pro version costs $29 per month (or $299 per year) and exports to Windows, Mac, iOS, and Android. Tutorials and assets are available in the GameSalad marketplace while support can be found by joining the community forum, where you will also find tips and tricks for using GameSalad. Starting with the Cookbook series provided on GameSalad’s website, you can walk yourself through the various tools and options, building basic games and sequences. With a learning curve that presents publishing games as achievable, GameSalad is a strong option for any newbie. By this point, you might be wondering if building a video game without programming skills is a good idea. After all, all of the options we’ve presented so far require you to put your hand in your pocket for anything that isn’t an HTML5 game. With this software, game logic is established by way of a series of events expressed in plain English. Games can be exported to Windows, Mac, Linux, Android, or HTML5. The collection of tutorials and the detailed wiki are helpful for users who need guidance around the software. Need more aid? Tips and tricks can be found in the forum, and there is also a subreddit. Although the subreddit is grossly underused, you can still find some examples of completed games there. If the type of game you want to build is an RPG, you’ve found the right tool. Available for free as a trial (the full version is $69.99), this latest iteration of the popular RPG construction program is powerful enough for veteran developers yet simple enough for children. Every aspect of RPG creation is covered, with a surprisingly affordable price, and tutorials and tricks are available on the website to help you get started and keep going. If you find the price tag beyond your budget, a free version called RPG Maker VX Ace Lite is available, allowing you to get to grips with the software before committing to a purchase. One final option worth looking at is ClickTeam Fusion. There’s a Free version that you can download and develop with before you upgrade to the Full version, which costs $99.99. But this comes with a “Created with Fusion” splash logo, which you can eliminate by upgrading to the Developer version for $399.99. The Developer version comes with several extended options and resources that justify the price bump, and it lifts all restrictions on distribution of your game. 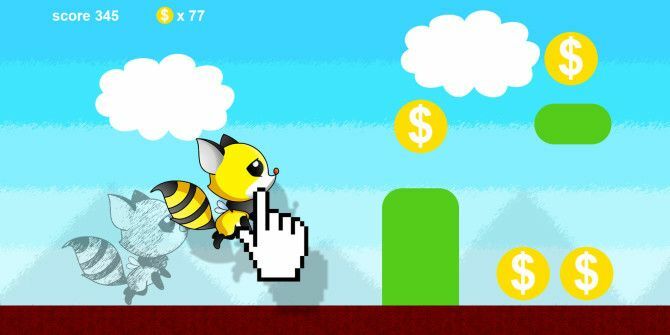 The resulting games are produced in HTML5, but there are exporters you can purchase to create titles that will play on Windows, Mac, Linux, Android, iOS. Tutorials and a community forum offer help and assistance in creating your games, which should help you to manage your way along the learning curve and produce increasingly playable and engaging experiences. These game construction kits offer varying levels of granularity, but if you want to create truly spectacular games, you will need to learn real programming How to Learn Programming Without All the Stress How to Learn Programming Without All the Stress Maybe you've decided to pursue programming, whether for a career or just as a hobby. Great! But maybe you're starting to feel overwhelmed. Not so great. Here's help to ease your journey. Read More . 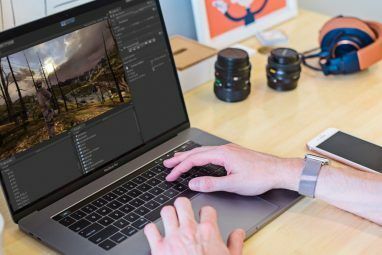 The next best thing (after you’re comfortable with one of the above programs) is to move onto Unity, which is perhaps the most widely-used game development engine for amateur and independent developers. You can get started via our beginners guide to Unity Programming A Game With Unity: A Beginner's Guide Programming A Game With Unity: A Beginner's Guide In the evolving landscape of indie game development, Unity has emerged as something of a de-facto standard: its low cost, ease of use, and broad feature set make it ideal for rapid game development. Read More . You should also spend time reading about programming in general. To save money, you can take advantage of these free programming books 9 Free Programming Books That Will Make You A Pro 9 Free Programming Books That Will Make You A Pro Calling all programmers, whether new, old, or aspiring: we've found a great selection of free (as in beer) books to boost your coding skills to the next level. Hop in and enjoy. Read More . Also, consider checking into these websites on the basics of game development 4 Free Websites Where You Can Learn The Basics Of Game Development 4 Free Websites Where You Can Learn The Basics Of Game Development When looking for a good game development tutorial series, you want one that will teach you the practices and mentality of good coding because you can then transpose those practices in any language or platform. Read More just to ensure any blanks are filled in. Do you develop video games? Or do you have an interest in getting started in the field? What kind of games do you want to make? Tell us about them in the comments below! Explore more about: Game Development, Video Game Design.